This is part of the Cafe Rio copycat recipes, and this one is spot on to the real thing. I hope you enjoy it as much as we do! 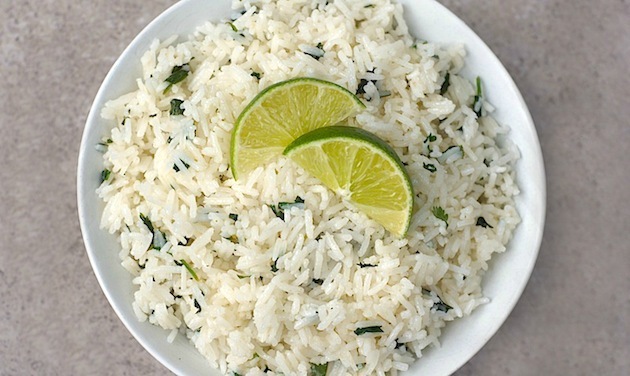 In a saucepan combine rice, butter, garlic, 1 tsp. lime, chicken broth and water. Bring to a boil. Cover and cook on low 15-20 minutes, until rice is tender. Remove from heat. 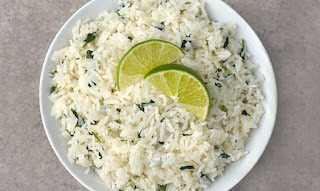 In a small bowl combine lime juice, sugar and cilantro. Pour over hot cooked rice and mix in as you fluff the rice.